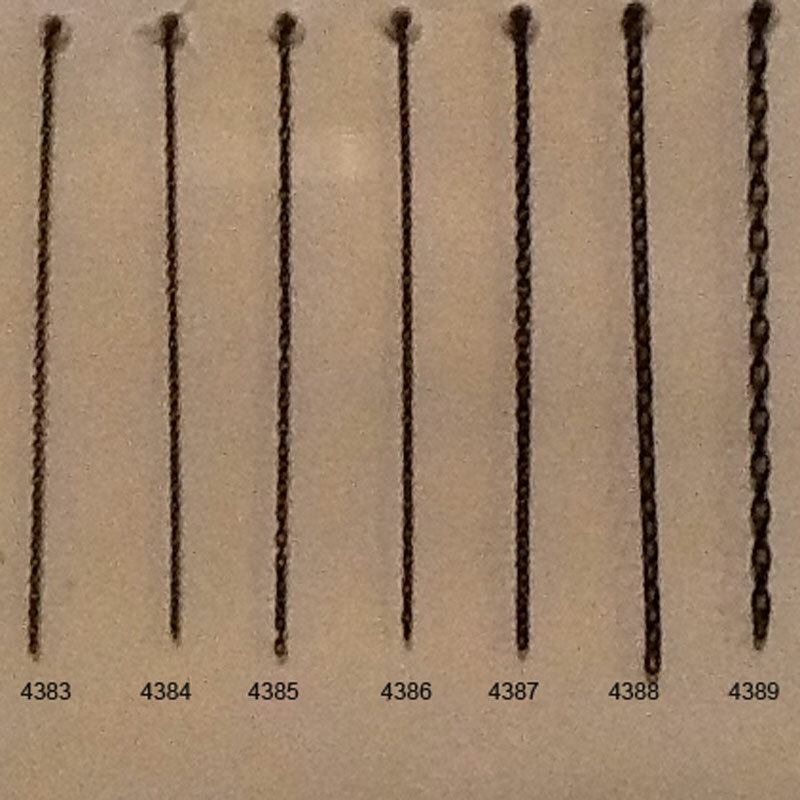 Chain is made of round blackened brass wire formed into individual links. The chain comes in two styles with either flat or oval links. Both have rounded ends just like the prototype. Flat links are used for safety chain on railroad cars and locomotives. Oval link chain can be used for brake chain on cars, locomotive, water tanks and for tying down logs on cars. It is also used on ships, trucks, military vehicles and lifting equipment. Each package contains 20" of 20.5 link per inch oval chain which has an actual wire diameter of .018" and actual link length of .060". This corresponds to 2.88" diameter and 9.60" length in N, 1.56" diameter and 5.22" length in HO, 1.15" diameter and 3.84" length in S, 0.86" diameter and 2.88" length in O, and 0.43" diameter and 1.44" length in G.